Kevin Hart wears Coach HC8047 L035 Casey sunglasses in the movie Ride Along 2. 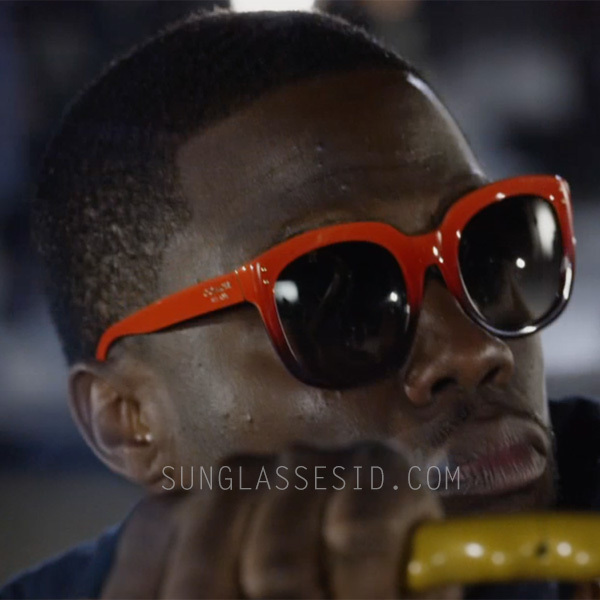 Kevin Hart wears Coach Casey HC 8047 sunglasses in the 2016 movie Ride Along 2. The sunglasses have a orange / black gradient frame, gold colored 'Coach New York' logo on the temples. In the same film, Ice Cube wears Ray-Bans.